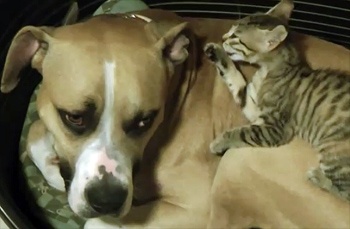 What could be sweeter than a big Pibble in love with a kitty? Sooo Cute The Big Boy Looks Just like my Pluto had 2 give him up last year, wondering if it’s him or not, Please Let me know where U got him from, Thankx ! !